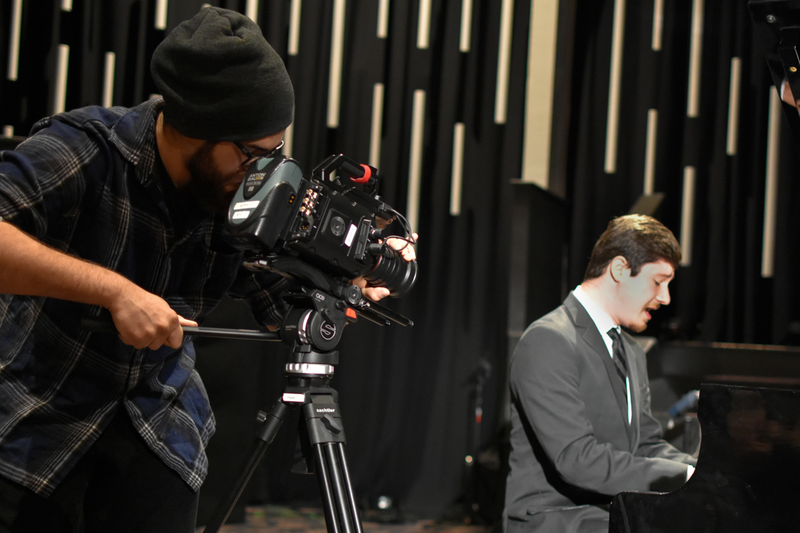 From operas to carillon compositions and documentaries, Trevecca’s Faculty-Led Research Experience (FLARE) projects in the creative arts have taken a variety of forms over the years. 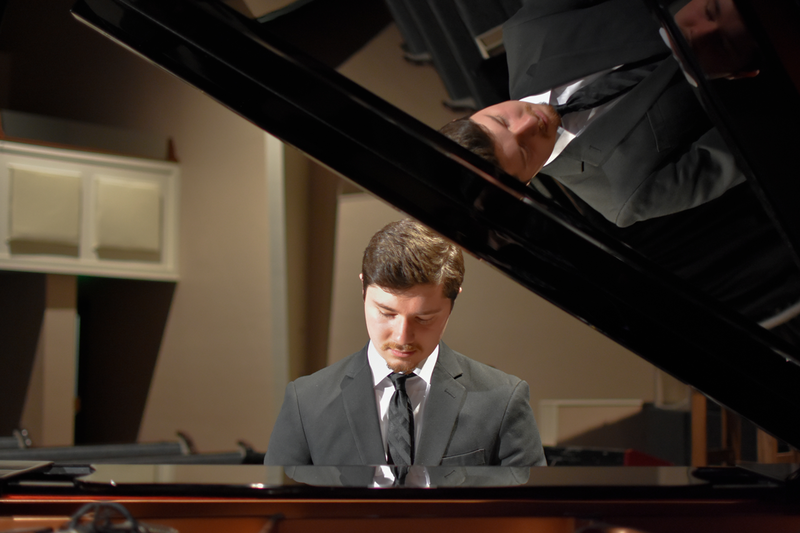 This year, students built on that foundation by creating “Medley: An Experimental Interdepartmental FLARE Anthology of Music, Film, Theatre, and Dance.” The presentation is set for April 12 and 13 at 7 p.m. each night in the Zelma Waggoner Performance Hall. The FLARE project, part of Trevecca’s Quality Enhancement Program (QEP), allows undergraduates to experience research first-hand. “Medley” began simply as “Music, Movies and Movement: The Creative Arts Project,” a FLARE proposal anchored by faculty members from School of Music and Worship Arts and the School of Arts and Sciences’ Department of Communication Studies, including Dr. Eric Wilson, Prof. Seth Conley, Dr. Jeff Frame and Prof. Blake Houchin. Whether composers, filmmakers, musicians or performers, students were challenged with creating a series of short works that brought ideas to life and allowed them to combine their talents and expertise. Intent on encouraging creativity, faculty members outlined basic concepts, then tried to stay out of the students’ way. Junior Ethan Campbell focused on producing “Bell Tower Talks,” Trevecca’s student body podcast. Campbell says he wanted to create a “reliable source for campus news,” but also craft content that would be useful to the student body. “We consistently use our media arts abilities when recording the material for each episode,” he said when describing the project. “We also use journalism skills to conduct interviews and collect event announcements. We also had a student from the music department create our theme music. Mariana Da Silva, senior, and her team took a different approach, creating a music video that combined videography and music. Featuring worship arts major Brian McHaney’s song “Move My Soul,” the video required a lot of resources. Logistics also proved to be an issue, Da Silva and her team learned. They recorded the song in the sound studio in Wakefield and had to find time and spaces on campus to rehearse dancers. Wilson says these real-life experiences are an important part of the process, something he and the other faculty members hoped students would gain from the experience. “[This type of FLARE project] helps students to work with one another in real-world scenarios that they’re likely to encounter after they graduate from here,” he said. Da Silva hopes her team’s the final product, which will premiere this weekend, will “paint a beautiful picture” for the audience. “Medley” will be presented this weekend on April 12 and 13 in the Zelma Waggoner Performance Hall, located in the Jackson Center.